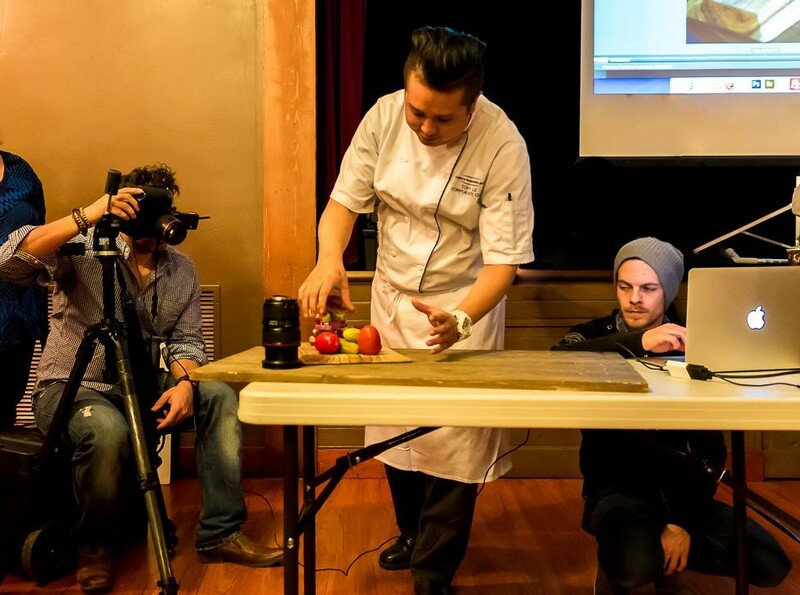 The February 4, 2016 presentation, The Art of Food Photography, with professional photographer Curtis Comeau and Chef Tony Le, demonstrated that most successfully done food photography is a collaborative effort, usually involving an art director, a photographer, a food stylist, and their assistants. The evening started with Curtis sharing his personal philosophy around food photography: keep-it natural. He also gave a brief overview of some of the different facets of this part of the industry, such as for creating materials for direct use by restaurants, for shooting the raw product itself, for the farmer/creator of a product, for cookbooks (including how-to/step-by-step), and for social commentary .... all the while showcasing a variety of his work (mainly images created with Tony). The gentlemen have worked together for over seven years now, Curtis shooting the food for the restaurants Tony works with, or Curtis hiring Tony as a stylist for his own commercial work, and they have built up quite an impressive repertoire. 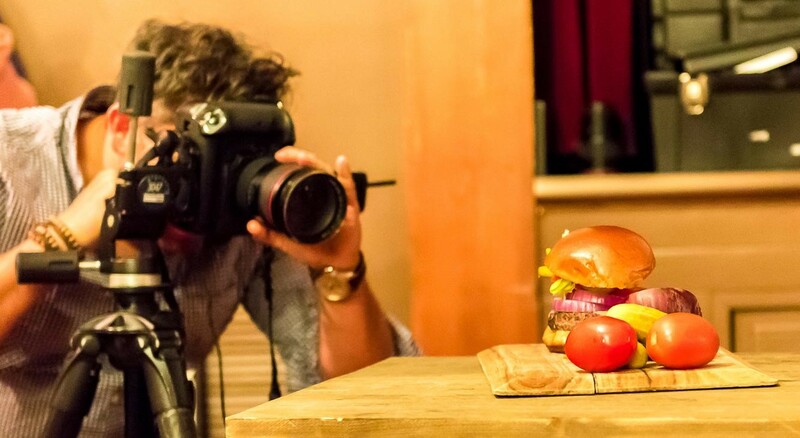 With food photography, the goal is to create the most appealing images possible. It should be kept in mind that when creating materials for direct use by a restaurant (advertising, menus, table toppers…), the end product must be recreatable by the restaurant staff on a daily basis as the item captured in the image is what the customers are expecting to see placed in front of them. This point was illustrated with a few well-styled drink shots. 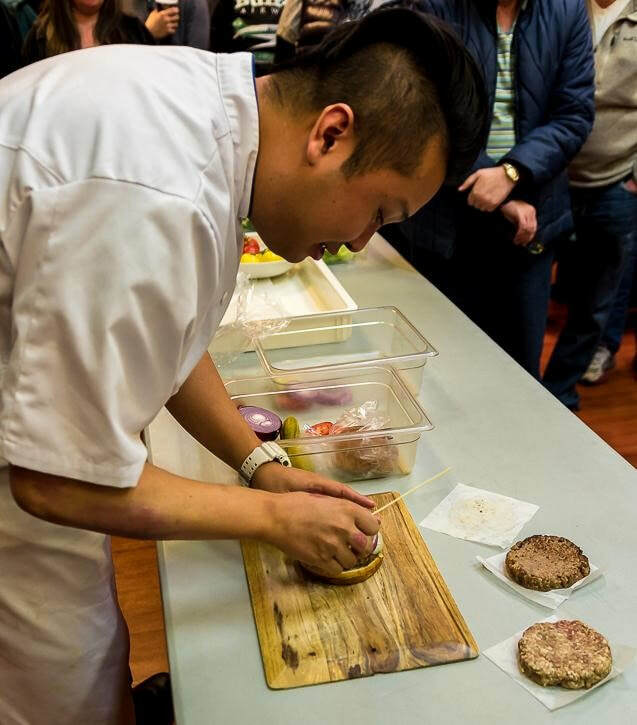 It was mentioned that not everyone will have the same ‘mad knife skills’ as Tony and would not likely be able to consistently cut paper-thin slices of cucumber to fan out along the inside of a tall glass (after all Tony started his career as a young sushi chef and then graduated from NAIT’s Culinary Arts program in 2004…). Lesson learned. Any plans for a shoot must take into account the guidelines or constraints set out by the client. Curtis and Tony explained some of these types of considerations using examples of how they planned the images for inclusion in the Edmonton based cookbook, Pure Prairie Eating Plan: Fresh Food, Practical Menus and a Healthy Lifestyle by Dr. Catherine Chan and Dr. Rhonda Bell. They noted that the recipes had to be followed exactly with all the ingredients included, the servings shown had to be proportionately accurate, and they were not allowed to include any additional ingredients to help enhance the presentation of the dish. It was explained that for some of the images visual interest was increased through the subtle use of props and backgrounds to add additional colour and texture. Other times ingredients themselves were used creatively, such as with the Mushroom Barley Soup (p. 142), where instead of mixing the barley into the broth, it was placed in a heaping pile the centre of the bowl--showing above the broth with pieces of fresh parsley placed on top. Tony also mentioned his preference is to always leave the herbs in larger pieces rather than to chop them up fine which prevents the herbs from looking like a sprinkled-on afterthought. A few of the considerations mentioned when planning for a food shot is plateware. Both gentlemen concurred that plain white dishes are preferred as they act like a canvas on which the food is showcased. Alternatively, there are times when other dishes will be used as a tool to help convey the ambiance or emotion. Backgrounds are an effective tool to help add subtle atmosphere to an image--shapes, natural wood grain, concrete, stone, tiles. The only limit is the imagination. The shot can be set up on more than a tabletop per se. The floor is often a great resource to consider using. Whimsy or fun can be added to an image with props (this must be done carefully and with good reason). Props may also be used to help provide context, visual interest, or scale in an image for the viewer. A couple of examples Curtis shared was the inclusion of a fork with a spaghetti and meatball dish as this helped to illustrate the thickness of the noodles and the size of the meatballs. Or the simple addition of a wooden honey dipper to add interest and context to the truffle honey he had shot for a client. Tony has questions prior to planning how to style a dish for a shot such as what angle does the photographer plan to shoot it at? The answers will determine how the dish is built. 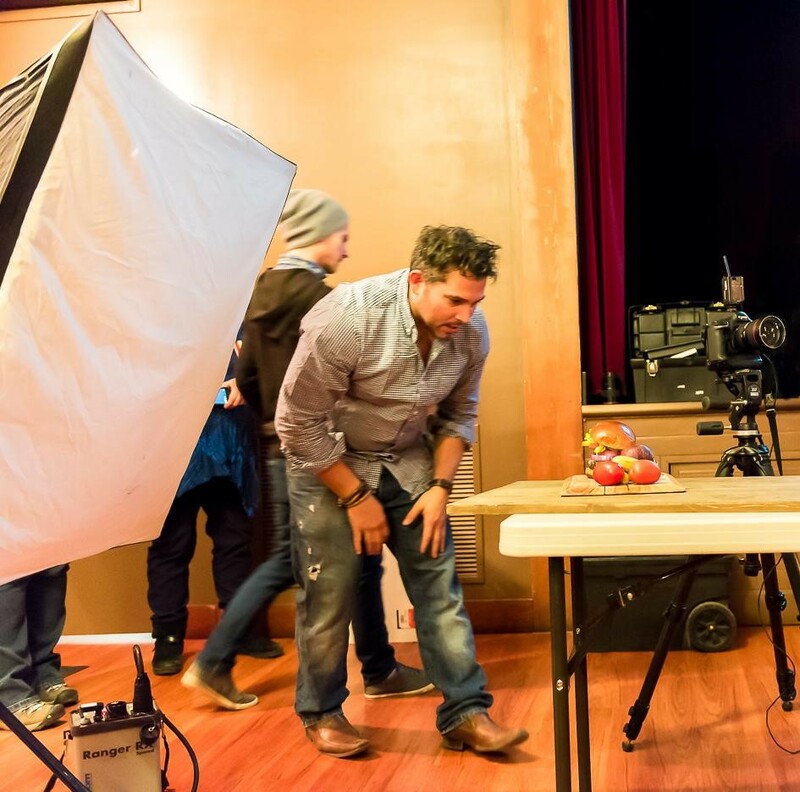 The two most common approaches for food photography are to shoot from a 45-degree angle or from above. In turn, the photographer needs to ask questions as well to determine how long each dish will remain at its optimal appearance, so together they can gauge the order of the food items to be shot and how much time they have with each individual item. 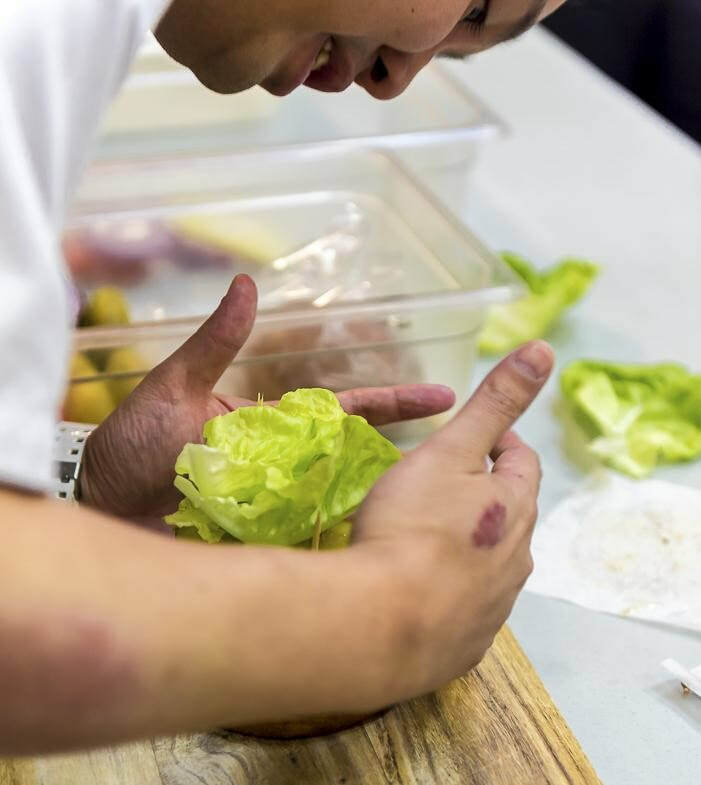 During the presentation, Tony demonstrated parts of his process while building a hamburger and salad for Curtis to photograph. Tony explained how he always looks for the freshest possible looking ingredients to use, sometime this means sorting through entire an entire bag of salad greens to find the five best leaves. 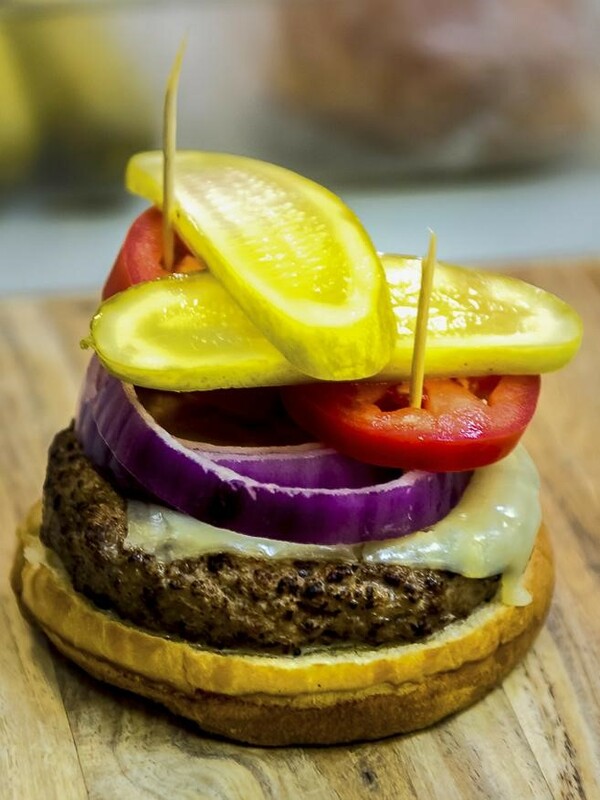 Tony shared that the trick to creating the best looking burger is to start with the heaviest ingredients on the bottom and carefully work your way to the lightest. Each type of vegetable should be cut even in size. And the ingredients should be stacked straight up to avoid an hourglass shape. 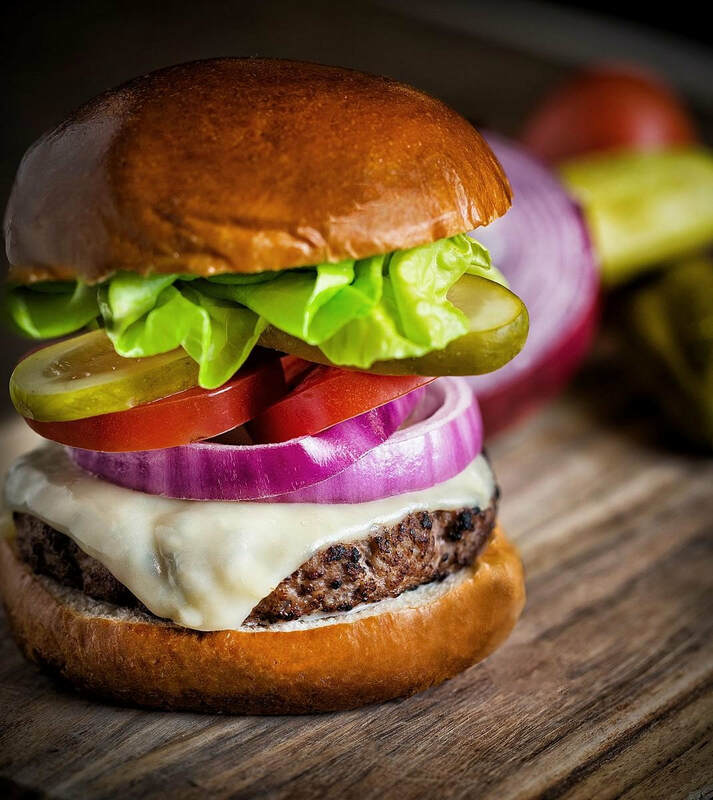 The construction of the hamburger started with a carefully selected bun, a cold patty that had been strategically charred with a blowtorch for colour and the cheese had been previously melted. By avoiding the use of hot ingredients, the fresh ingredients will not wilt as quickly. Wooden skewers were used to help keep the layers of vegetables stacked straight. If the supports cannot be camouflaged they can easily be removed in post-processing. If any condiments are necessary, they will be carefully added on afterwards; most often with a squirt bottle for better control of placement. The inclusion of other vegetables on the board with the final burger provides the viewer a sense of scale, are they looking at a slider or a full-size burger. These additional elements do not necessarily need to be in focus, as long as the viewer can make out what it is. The salad was built using ingredients that had been carefully picked for the optimal appearance; in this case smaller, shapelier pieces of the kale. The oil was pooled in the bottom of the dish for the ingredients to rest in which helps to prevent them from looking wilted and soggy. 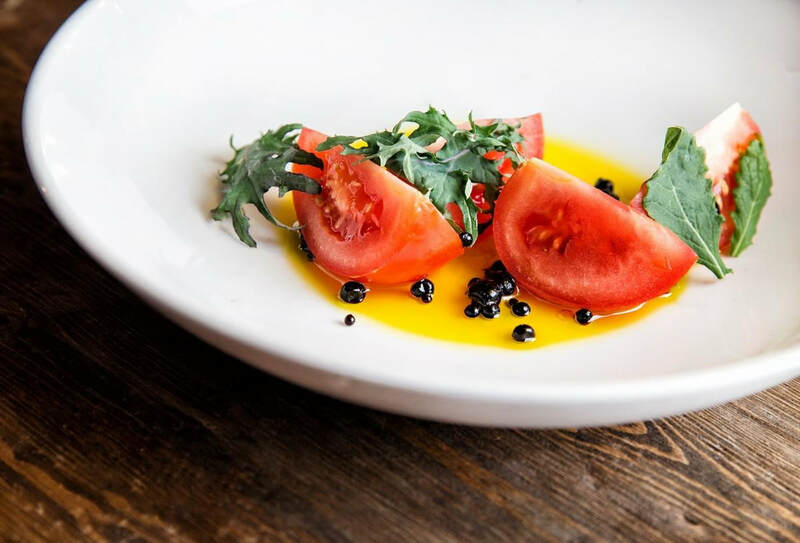 Tony also noted that when a salad dressing is an essential part of the image, it will often be poured onto the salad as the image is being taken. Next Curtis and Kevan Morin set up and demonstrated a basic food photoshoot for the group. Their preference was to use as much natural light as possible, but when there is very little or none available, the guys then relied on their own lighting setup to recreate the appearance of natural light. Curtis mentioned his primary lens choice at this time is 24-70, but will consider using his 16-35 or a macro lens when called for. One caution was to be careful when using the macro lens as it is very easy to lose the context of the environment you are shooting within. Keep in mind how the final image will be used. Is a significant amount of space around the food item needed to allow for the addition of other elements such as text. 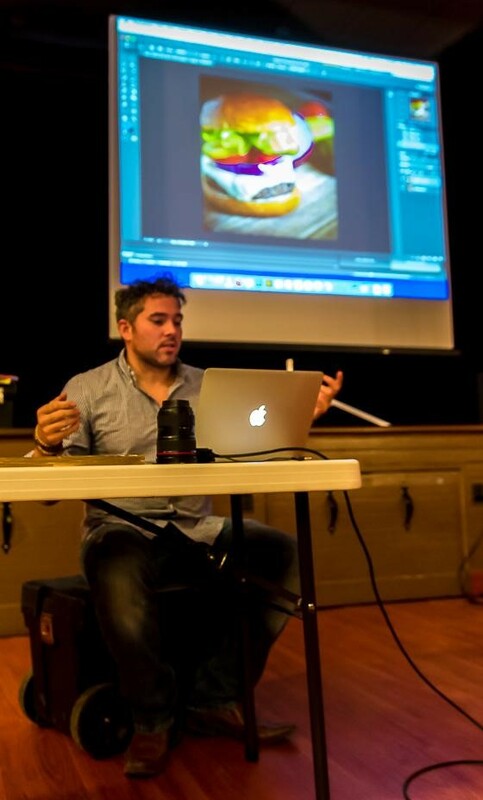 Since Curtis’ camera was tethered to the laptop and connected to the projector, members were able to watch the process Curtis followed while working towards capturing his desired images. Adjustments to the placement of the external light, bouncing light back in with a white card, adjustments to depth of field, effects of using a different lens, slight adjustments to the placement of the food. The evening concluded with Curtis engaging in a casual conversation with the membership while live processing a couple of the images taken. Curtis traditionally starts his post-processing in Adobe Camera Raw for the global adjustments and cropping, and then he opens the image in Photoshop for more localized adjustments.